Labrador Archives - American Waterfowler L.L.C. Last fall I picked up a sweet little black pup from K.T. 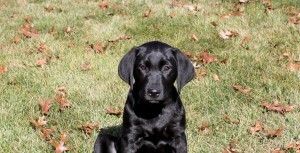 British Labs in Elbow Lake, Minn. She was promptly named Piper by my daughter, and why not? The name is far better than anything I could think of—and came more quickly. My last Lab’s name was Buddy, so that should tell you something about my regard for dog names. Piper is highly bred, of course, and came ready equipped with that quiet nature, soft mouth and great nose developed in her forebears. Naturally, she and I had to go through all the puppy nonsense of where and when not to poop and what is and isn’t her chew toy—including my kids’ cats. It’s amazing how fast you forget all the work that goes into a dog. Only a little over 10 years ago I was going through these same stages with another black dog. 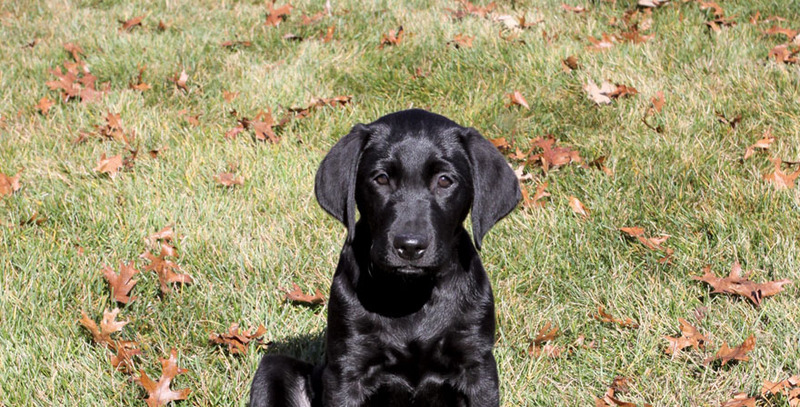 You build on lesson after lesson and soon forget how much your dog didn’t know coming into the world, until finally, your grown hunting partner is a push-button machine that knows all the routines. For a while, and it’s never long enough, you get to enjoy a kind of hunting with your partner that’s really quite effortless. But not now. Now it’s back to the basics, and some days it’s back to the basics again and again. The good news is, Piper’s a little hunter. She shows all the characteristics of her good breeding. She’s got a great nose, she’s a born retriever and she delivers to hand as if we’d trained it. She’s also extremely smart, which helps a great deal when learning new tricks from an amateur trainer. Like her predecessor, Buddy, she’s got more natural ability than I have as a trainer. And so, as usual, the only limiting factor is ME. But there is a big difference in this dog, and me, compared to my last—this one’s a girl. Now, I hope I’m not accused of sexism when I say that girl dogs ain’t boy dogs, but either I’ve forgotten the sensibilities of girl dogs, or my Piper is just a bit more of a girly girl than the female I raised and trained 25 years ago. My first clue came when she piddled every time somebody bent down to pet her. My second came after a scolding when she feared coming to me for a day or two. That was puppy stuff, though, and now half grown, she’s well past those odd behaviors. But it was a good reminder that this isn’t the thicker skull of a male dog I’m dealing with. The advantage of her “sensibility” is that Piper doesn’t require much in the way of reminding to get back to doing what’s expected. That’s a real joy. I had planned to train her with positive reinforcement methods anyway, so getting into that mode early put us on good footing. Credit all the dogs I’ve owned before her to my being able to read Piper’s nature. Sure, I’ve made plenty of mistakes with dogs, but each new dog taught me something to benefit the next generation. Piper and I are just learning how lucky we are. 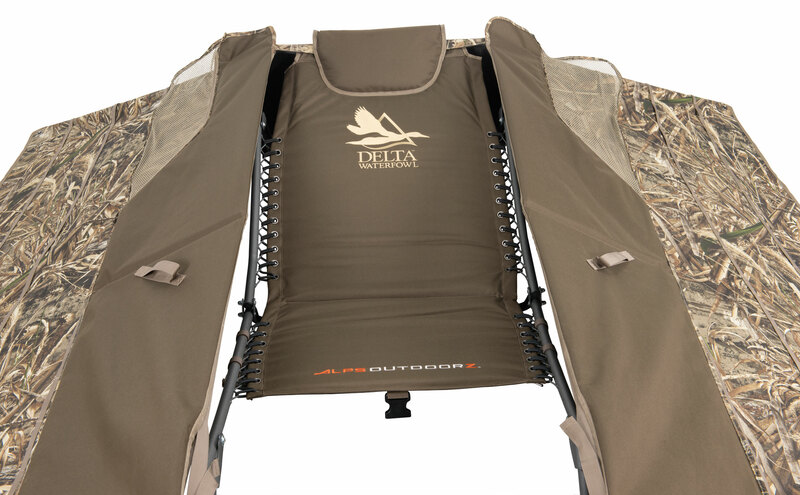 Called the most co mfortable & easiest layout blind to set‐up available on the market today, the patent pending Zero Gravity Layout Blind requires no assembly, and boasts an array of features that make it durable, comfortable, portable, sturdy and reliable. 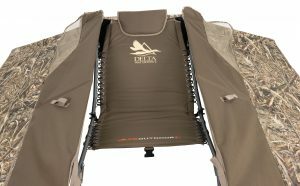 Utilizing a zero‐gravity chair design that keeps you off of the ground while also maintaining a low profile, you'll never go back to your old layout blind again. The fabric flares out on all sides to help make concealment e asier, and allows for storage of bags or other accessories in the blind. Backpack carry straps make transporting the blind a breeze. 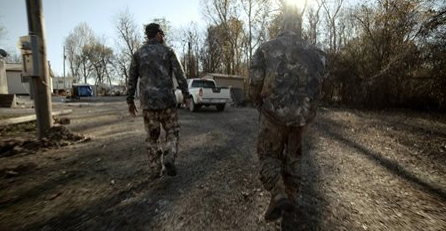 There isn't a floor in the blind, which makes clean up quick and easy. 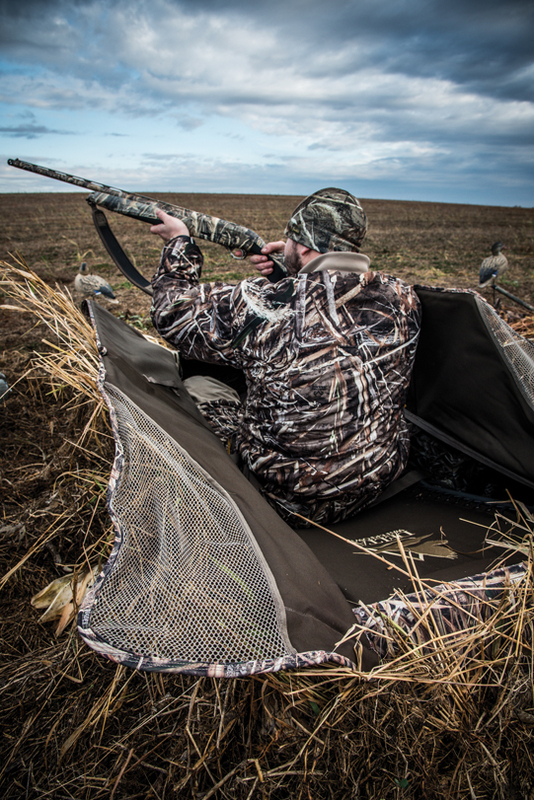 The blind also includes two side gear pockets for extra items, brush loops throughout for added concealment, heavy duty threaded stakes for frozen terrain, and a padded head rest for maximum comfort. The cockpit has an opening dimension of 24" by 56" and features two zippered flag ports next to the doors. 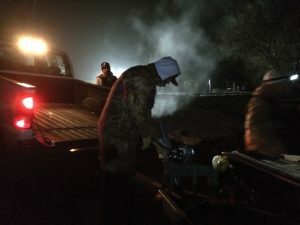 Alpsoutdoorz.com; 800-344-2577. ALPS OutdoorZ partnered with Delta Waterfowl in late 2015 to bring to market a brand new, dual-logo line of high quality gear for waterfowl hunters. New for 2017 is their WATERPROOF Water‐Shield Backpack. 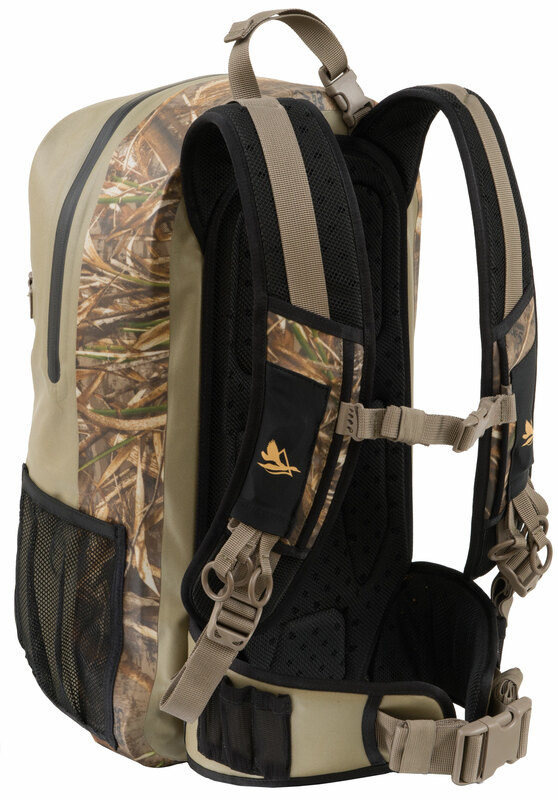 As waterproof as a waterfowl pack can be, the pack is constructed using TPU waterproof/welded seams and YKK aqua guard zippers that are highly water repellent. You can be confident this pack will keep even your most important gear dry. You can even set this pack down in standing water! There is a clear front map/cell phone pocket to access from outside of the pack, and stow away game totes can be found on the shoulder straps. A front organizational pocket is available for easy access, and the front compression strap works great for adding additional gear. 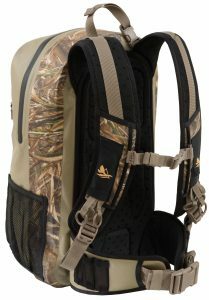 The top carry handle has a side-release buckle that can hang from a tree or attach to other gear. Six shell loops are found on the waist belt, and two side mesh pockets are great for bringing bottled water along. Alpsoutdoorz.com; 800-344-2577. To be ready for waterfowl hunting, sporting dogs should be fed a high protein-to-fat performance food that primes their muscles for strength and endurance and meets their metabolic energy needs. 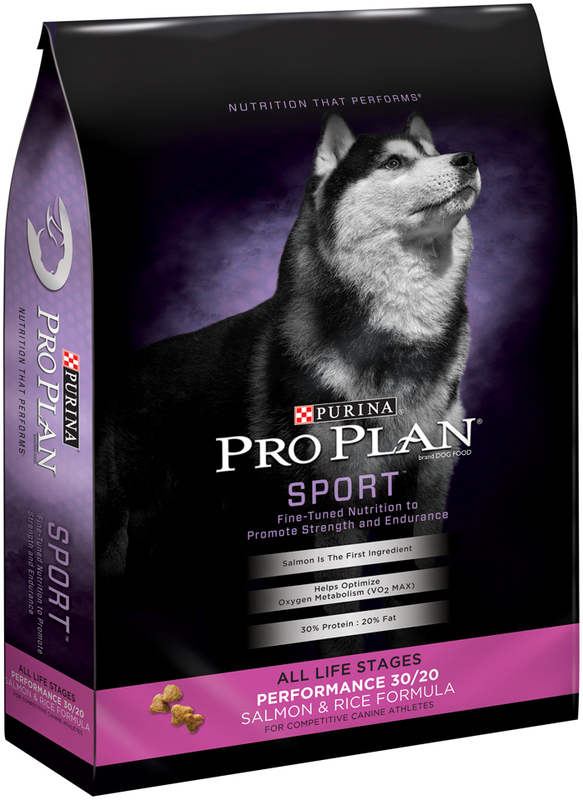 Purina Pro Plan SPORT Performance 30/20 Salmon & Rice Formula delivers highly digestible nutrition hardworking dogs need and a high quality protein source with salmon as the No. 1 ingredient. This super-premium dog food provides optimum nutrition for all life stages. 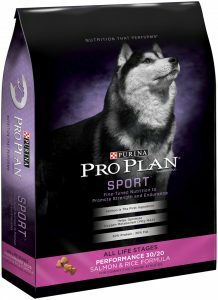 Please visit www.proplansport.com to learn more about the Purina Pro Plan SPORT nutritional platform. Plus, look for Purina Pro Plan SPORT Grain Free Performance 30/20 Chicken & Egg Formula coming in June 2017! Banded is pleased to introduce theirBlack Label Waders combining stitch minimizing Arc Welded Technology with SHEDS waterproof and breathable fabric. 60 gram PrimaLoft® Silver premium body insulation keeps you warm on the harshest days. A new lug style boot cleat pattern is paired with 1600 grams of interior Thinsulate® insulation. 900 Duramax™ reinforced padded leg and shin guards protect your legs against sharp edges. Not only does Backwater Inc have the best performing long tail available any where in the world. They also have patented features that make them the most dependable and longest lasting. Check out this video of Jake (co-owner) explaining how the Revo-Clean bearing system works at a show recently. 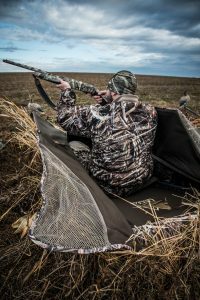 Delta Waterfowl and ALPS OutdoorZ, brought together by a shared passion for conservation, developed an innovative new line of waterfowl products. Their Zero Gravity Layout Blind features a floorless design, a suspended seat, and requires no assembly. Tired of the same old hunt photos. So are most of us. That's why Sitka has begun the "Diverge" campaign. A photo contest for those who see the world, and the hunt in uncommon ways. Simply use #Diverge5. For details, go to www.Sitkagear.com/diverge.